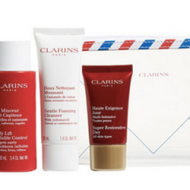 Nordstrom just released an awesome Clarins Free Gift with Purchase. 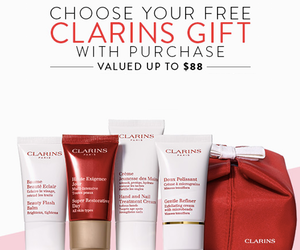 Spend $85 and you can choose between 3 Deluxe Skincare Travel Sets (valued up to $88!). Just click ‘Gifts with Purchase’ in the sidebar navigation to view this offer. 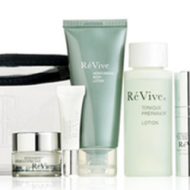 Each 5-piece gift features different facial creams, exfoliators, a cosmetics bag and more. Just choose your favorite travel set and enter the designated promo code at checkout. Don’t forget, spend an additional $15 to receive a deluxe travel-size tonic body oil. This offer is available while supplies last, so shop now before your next big trip!